Ah, the best time of year is upon us: holiday songs, turkey and gravy, cozy nights by the fire, and wild Black Friday deals! Never has it been easier to find joy in the gift of giving (and receiving). Like previous years, our Zumba® Wear Black Friday deals are through the roof. Our unique apparel line is great for in and out of class and there’s a style for everybody. The fabrics are specially designed for sweating and dancing like crazy, so all you have to worry about is feeling awesome all day long. And bonus: gifting your loved ones with fitness items is a good way to get them motivated to live their healthiest life. All your favorite items – shoes, leggings, bra tops, t-shirts, accessories, all of it! – will be up to 75% off from November 22nd through November 27th. And we’ve taken those favorites and bundled them up for pre-made packages that you’ll love (including awesome STRONG by Zumba® apparel bundles!). Look out for plenty of BOGO offers to get even more of the items you dig. Plus, new, amazing, surprise deals will be posted every day. U.S. shoppers – shipping is free with no minimum. EU shoppers – you’ll get free shipping when you spend 99€ or more. Head to the Zumba shop now and grab your wish list items before they’re gone! 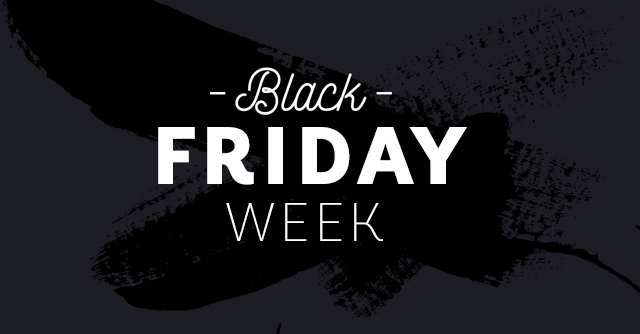 PS – want to hear about the Black Friday deals as soon as they are released? Join this Facebook group to be kept in the loop!